Ignition Interlock DUI Device on your car? Prevent it!! Who is required to install an Ignition Interlock device in Alabama? You may be required to have an Ignition Interlock device installed on your vehicle if you are convicted of a DUI in Alabama or refuse to provide a blood alcohol sample. Whether your personal or business vehicle, it must be outfitted with this device. An employer is not forced to allow you to have this device under Alabama law. So if you drive a company car and the employer does not wish for this device to be installed, it could cost you your job. If a child under the age of 14 years was present in the vehicle at the time of the offense. On a first (1st) conviction, you will have your license suspended for 90 days and will be required to have an ignition interlock device installed for a period of two (2) years. On a second (2nd) conviction, you will have your license suspended for one (1) year and will be required to have an ignition interlock device installed for a period of two (2) years. On a third (3rd) conviction, you will have your license suspended for three (3) years and will be required to have an ignition interlock device installed for a period of three (3) years. On a fourth (4th) conviction, you will have your license suspended for five (5) years and will be required to have an ignition interlock device installed for a period of five (5) years. 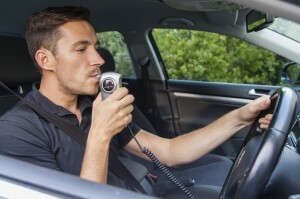 How can I avoid an Ignition Interlock device in Alabama? If you are facing DUI charges and are at risk for having an ignition interlock device installed on your car, you need to call us right away. 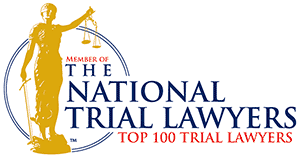 It is absolutely critical that you have an attorney who understands Alabama law to help you with your case. A link to Alabama’s Ignition Interlock law can he found here: Ignition Devices. You can also find Ignition Interlock information in the following link at the Alabama Department of Public Safety. Please also see our section on DUI and Drivers License Suspension for more information. Adrian Peterson Child Abuse Charges – Illegal in Alabama? Copyright © 2015 The Malbrough Firm, LLC. All Rights Reserved. | The following statement is required by the Alabama State Bar: "No representation is made that the quality of legal services to be preformed is greater than the quality of legal services preformed by other lawyers."